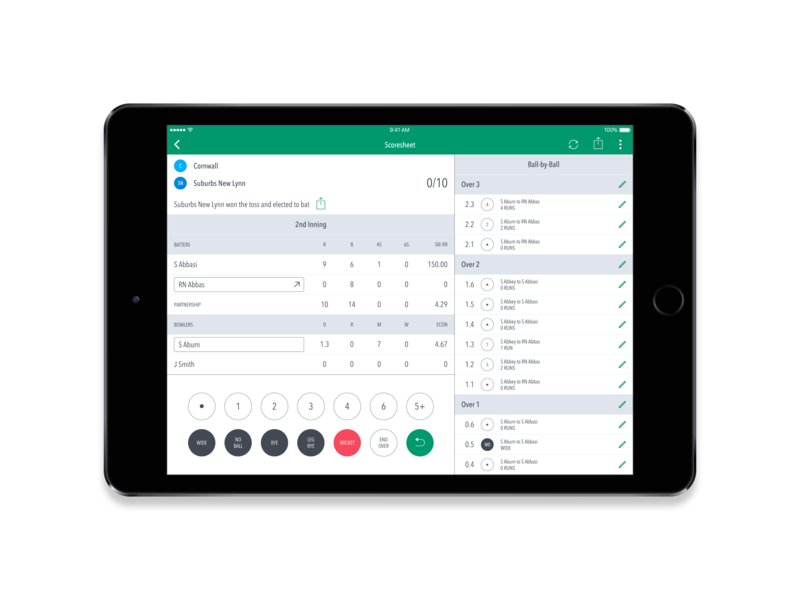 We've made it easier than ever to score a cricket match using a simple digital interface, with all the detail of a traditional paper scoresheet. 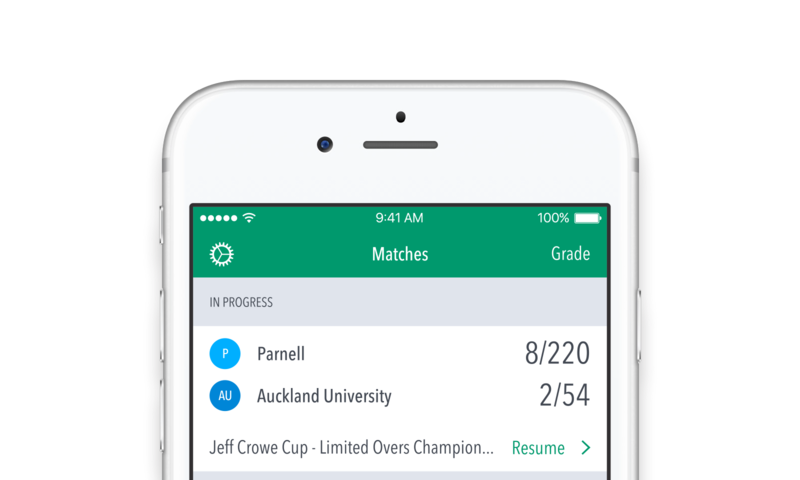 Simple and intuitive design built on our full-featured Cricket scoring engine. Score any match on ResultsVault Cricket. Make live adjustments to overs, balls and the detailed scorecard. 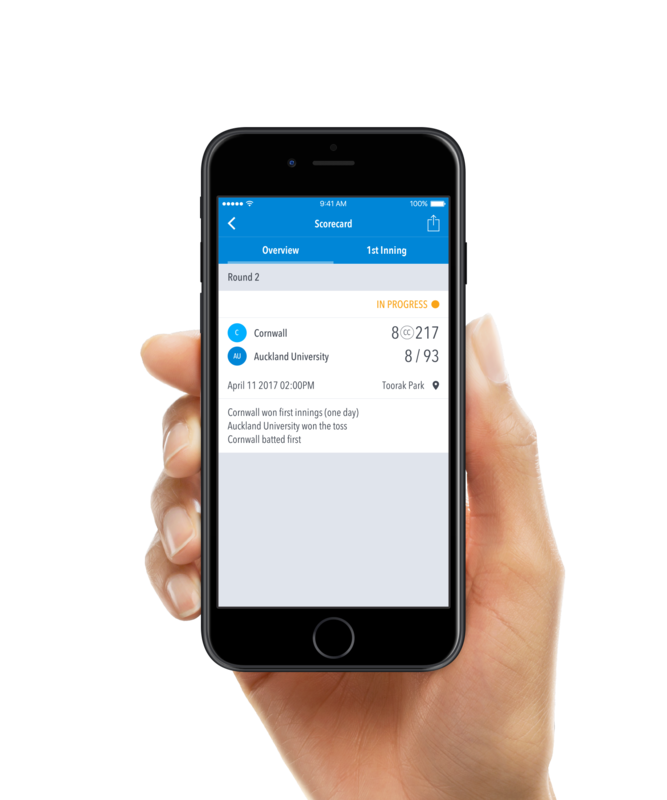 Share matches and toss results across social media channels. Restrict match scoring to your club or association with secure logins. View current team totals, partnerships and individual batter and bowler statistics. Quickly and easily change the strike batter or replace a bowler. 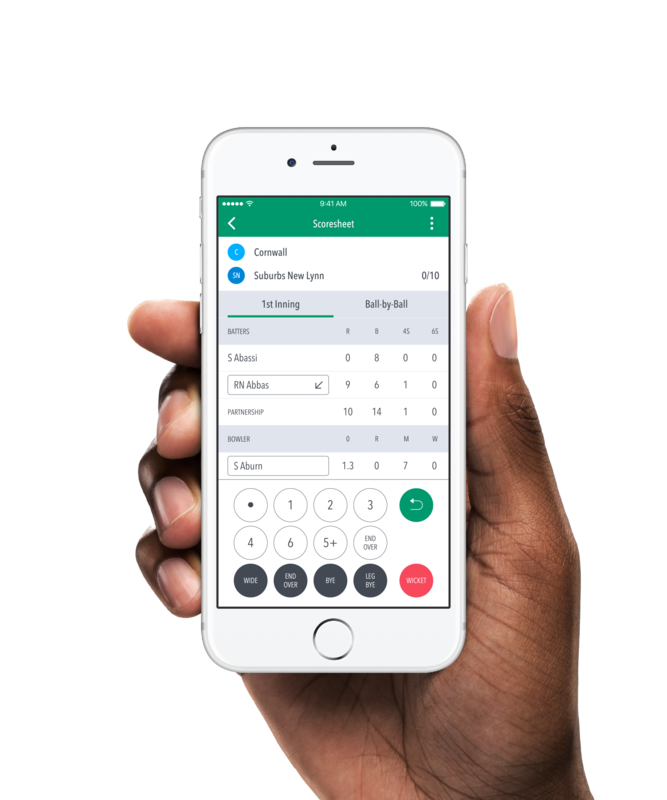 Compose each delivery (runs, extras, wickets) with our easy-to-use controls. View and edit every over and ball for the current inning, including runs, fielders, bowler and ball order. 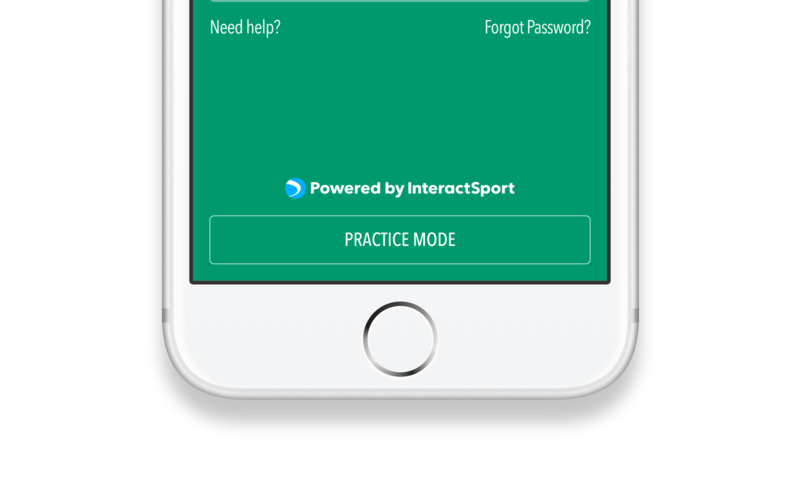 Take Cricket LiveScore App for a spin in practice mode, using our example teams and player data. Browse and score upcoming and in-progress matches across all your club or association's grades. 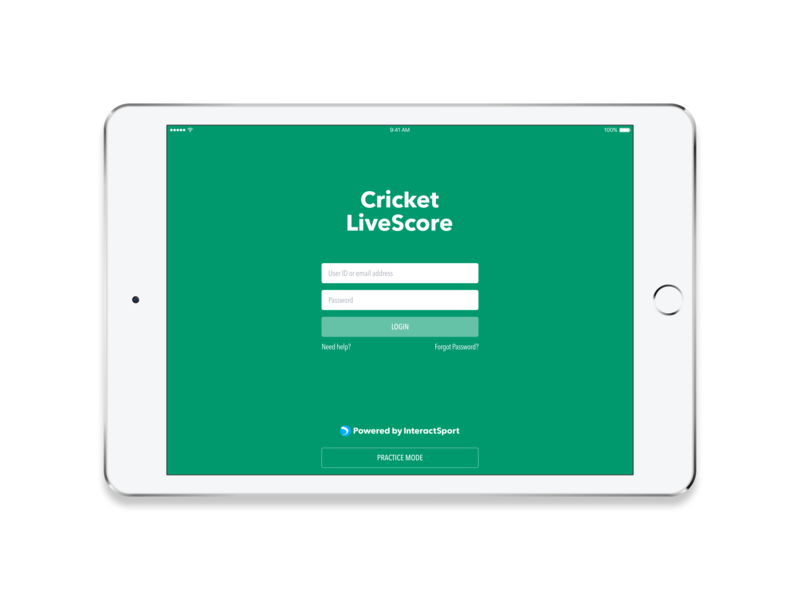 Cricket LiveScore App can pre-load teams from ResultsVault Cricket, saving you time and effort at the start of the match. Easily access live scores and player statistics via our popular ResultsVault app. * Currently not available in Australia and the United Kingdom.